Join us this Sunday, 3rd Of February when we will have 2 Groups out taking different routes to the Cailleach Beara’s Lake and the North Cairn on Slieve Gullion. C Group Walk: will take the route known locally as ” Up the Wire”, which will lead directly to the Cailleach Beara’s lake. This is also across rough and wet ground. 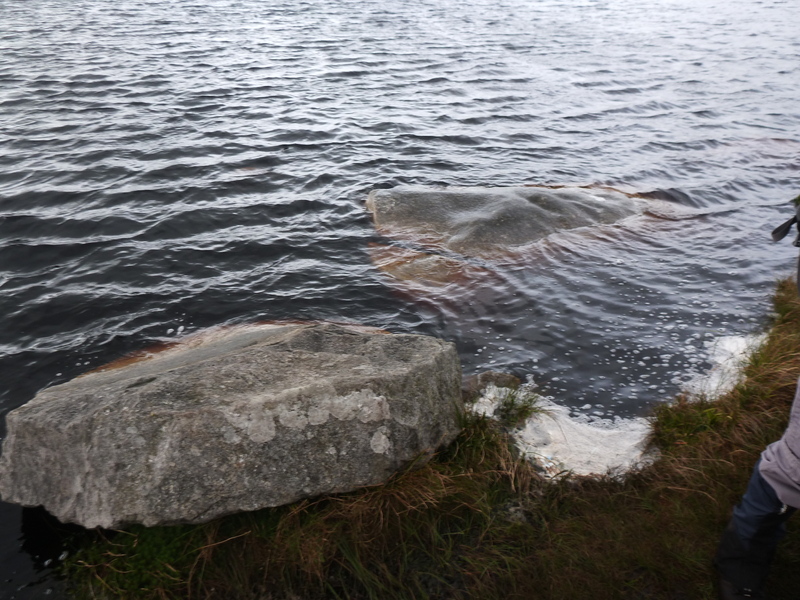 Both groups will cross the summit from the lake, to the remains of the North Cairn and descend following first the Ballard track and then cutting across the bog by our own self styled “kesh” back to the cars. Both groups will be out for 3.5/4 hours, walking around 9 km, climbing around 450 m.
All walkers should meet at the Gap O’ the North Pub, Jonesborough, at 10 am for a safety briefing and registration. New walkers are always welcome but must walk with our C Group for their first walk. Walkers all need : walking boots, a waterproof jacket and a packed lunch. We recommend walking poles and gaiters.